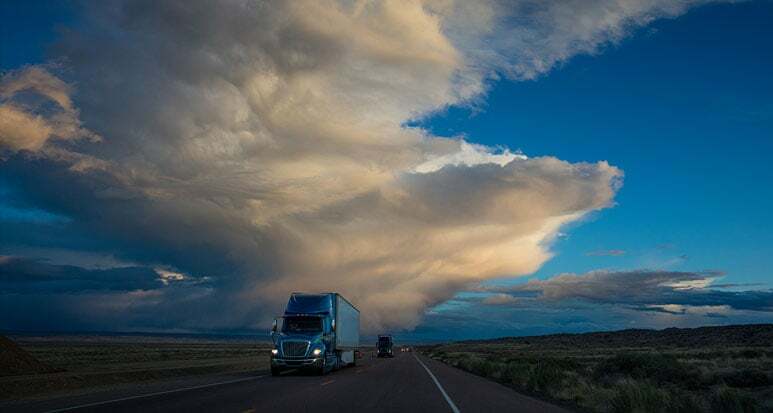 Truck owners and operators have a duty to ensure that their trucks are maintained in a safe manner, which includes keeping the weight of the truck’s load within proper industry standards. When these parties choose to overload their trucks with excessively heavy loads, they place everyone on the highway in danger of harm. At Plattner Verderame, P.C., we proudly advocate for the rights of people severely injured in serious truck accidents. Our team of knowledgeable Phoenix truck injury lawyers includes partners Richard Plattner, Frank Verderame and Randy Hinsch. Each of these lawyers has been certified by the Arizona State Bar as Specialists in Personal Injury and Wrongful Death Litigation. Our fourth attorney, Nick Verderame, is earnestly working toward his certification while helping injured folks secure the representation they deserve. Have you ever noticed weigh stations located on the side of the highway? These checkpoints are there to ensure that truck drivers are not driving improperly loaded trucks. Operators are generally required to pull into these stations for weighing and inspection, where station employees look for overweight loads and illegal cargo. Single axle trucks: 20,000 lbs. Tandem axle trucks: 34,000 lbs. Tridem axle trucks: 42,000 lbs. Gross allowable weight for five axles or more: 80,000 lbs. Collapsed roadways. If gross truck weights exceed the amount of weight allowable on a street or bridge, the road may give way and collapse. These serious incidents can severely injure the truck operator, as well as other drivers in the immediate area. Compromised tires. Overloading a truck can place too much pressure on the tires, causing them to burst. Tires are only meant to hold up to a specific amount of weight. Placing too much pressure on them can cause the threading to stretch to the point of giving out completely. A tire blow out can cause the operator to lose control of the truck. Failed brakes. Brakes are also designed to handle specific amounts of weight. An excessive load can cause the brakes to give out and not adequately stop the truck. When brakes fail, truck operators may run through red lights or intersections, placing other drivers at serious risk of harm. Inadequate uphill travel. Overloading can impede the truck’s ability to travel uphill. This can prove dangerous to other drivers who are traveling behind the truck. In some of the most severe cases, an overloaded truck can roll backwards down the incline. Overloading can raise the center of gravity on a truck, making them more prone to rollovers. This risk is even more severe when the driver fails to operate the truck in the proper manner. Excessive speeds and improper handling of turns can lead to rollovers, especially when the truck is overloaded. Inadequate stopping distances. Tractor-trailers already require substantial distances to stop in a safe manner. The additional weight of an overloaded truck requires even longer stopping distances for the breaks to work effectively. When operators follow other vehicles too closely or fail to provide themselves with adequate room for stopping, the brakes may not have enough space to stop before crashing with another vehicle or running through an intersection. The dedicated Phoenix truck accident attorneys of Plattner Verderame, P.C. strive to provide all Arizona residents with the highest quality of legal representation. That’s why we handle personal injury cases on a contingency basis. This means that you pay nothing unless we secure a settlement or verdict on your behalf. If you have been injured in an accident caused by an overloaded truck, call us at 602-783-8793, or complete our contact form.